The priests had three prominent duties with respect to the people: to bless, to instruct, and to judge (or “decide”) disputes. All three of these duties can be seen reflected in this reading. 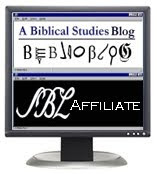 By using their position for their own interests (by showing “partiality in … decisions”) the Levitical priests were violating their covenant with God. The covenant with Levi is a sub-covenant of the Mosaic, had has its origins in Exodus 32:25-29, where the Levites rallied to Moses after the Golden Calf rebellion, and were rewarded with a perpetual grant of the ministerial priesthood. The rest of the verses from this part of Malachi skipped by the Liturgy describe this covenant with Levi in greater depth, using a figure of speech in which the Levites are described as if they were but one man, their eponymous ancestor Levi himself. God threatens judgment on these perverted priests, who have forgotten that they belong to the same great family as the common people they serve (“Gave we not all the one father?”—This could refer to God as father, or to the patriarch Jacob/Israel their common ancestor). There is an implied longing in this passage for good priestly leadership, that will be concerned for the welfare of God’s family rather than their own personal interests. Reading this psalm together with the First Reading, we can discern a message: even when the leadership of God’s people goes astray, the individual believer still finds refuge directly in God, who is a loving parent. In this Psalm, God’s care for the worshiper is compared in an indirect way to a mother’s care for her child. Find repose in the LORD, abandoning oneself to His providence moment by moment, is like being a weaned child resting in his mother’s lap. The psalmist experienced repose in God in a way analogous to a weaned child; now Paul and his companions minister to God’s people “as a nursing mother cares for her children.” The point of the comparison is self-gift: the nursing mother, in a sense, feeds her children with her very self. Likewise, Paul and his companions shared not only the Gospel of God, but “our very selves as well.” This is the “virtuous leadership”, the model for those who would exercise authority in the Kingdom of God. In Jesus’ day, the Sadducees who controlled the Jerusalem priesthood were not fulfilling the priestly role to instruct the people in the ways of God, so into the vacuum came the scribes and Pharisees, who—without any Scriptural mandate to do so—nonetheless functioned as the catechists and religious educators of the Jewish common people. Surprisingly, Jesus does not encourage his contemporaries simply to ignore them. Jesus recognizes the need for authoritative religious instruction—he is not a religious anarchist, much less a “hippy” posturing against all authority and teaching his disciples to distrust anyone over thirty. Nonetheless, even though the Pharisees should be respected for having taken up the responsibility of “Moses seat”—a reference to the need for authoritative interpretation of sacred law (in this case, the Mosaic law which was still in force) in each generation—their hypocritical example should not be followed. Phil. 2:22 But Timothy’s worth you know, how as a son with a father he has served with me in the gospel. 1Cor. 4:15 For though you have countless guides in Christ, you do not have many fathers. For I became your father in Christ Jesus through the gospel. Gal. 1:14 and I advanced in Judaism beyond many of my own age among my people, so extremely zealous was I for the traditions of my fathers. Philem. 1:10 I appeal to you for my child, Onesimus, whose father I have become in my imprisonment. 1John 2:13 I am writing to you, fathers, because you know him who is from the beginning. I am writing to you, young men, because you have overcome the evil one. I write to you, children, because you know the Father. The principle at work here is that we follow the example of the Apostles in our interpretation of the words of Lord. They show us that Jesus did not mean his statement above in a literal fashion, but rather figuratively. He was encouraging the Apostles to cultivate a humility, to be conscious of the fact that, finally, they were brothers to those whom they served, children of one father—a truth forgotten by Malachi’s priests. The greatest among you must be your servant (or “slave”). 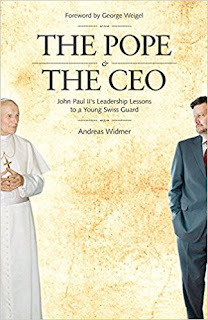 In time, the Catholic Church developed the tradition of requiring of her leaders that they de facto commit to lives of poverty, chastity, and obedience before assuming a leadership role in the Church. Such a lifestyle resembles that of slaves in antiquity, who had little or no pleasures or goods to enjoy in this life. Even this high bar of commitment required in the Catholic Church has not kept out all who were unworthy of leading the people of God—but how much more so if these commitments had not been there! 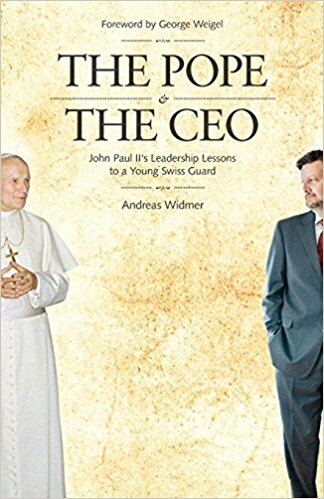 What kind of leadership would we have if the priesthood and religious life were paths to wealth, power, and sensual pleasure? Today’s readings are particularly meaningful for the leaders of the Church. Everyone in any leadership profession, including and especially teachers of theology and Scripture, should meditate this Sunday on the virtue of humility, and the gift of self, that Christ requires of those who would be “great” in the kingdom.